Appointment only advice surgery in King's Lynn. Half hour slots available. Booking is essential. 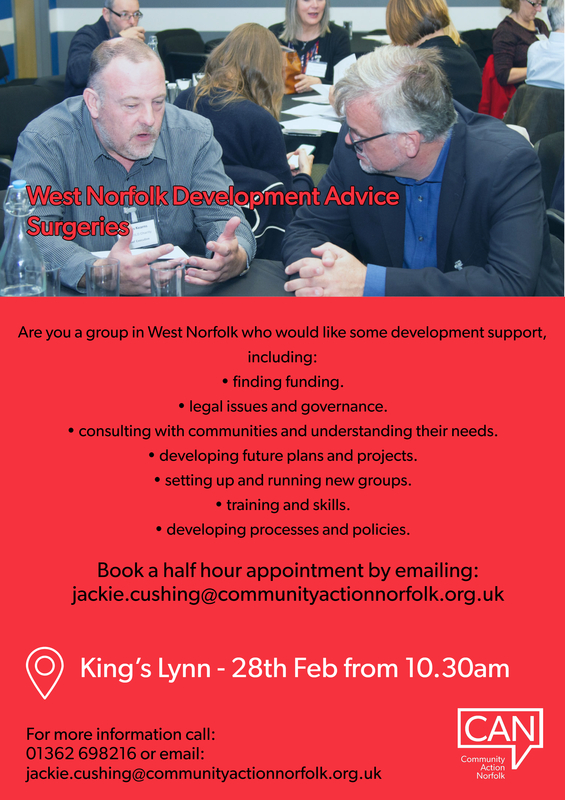 Are you a group in West Norfolk? consulting with communities and understanding their needs. developing future plans and projects. setting up and running new groups. Book your appointment by emailing [email protected] or calling 01362 698216.